This Silver Nikki Lissoni carrier is perfect for those who love to sparkle! This fabulous design is Silver plated and detailed with chic square crystals. 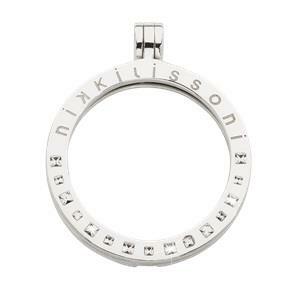 This medium 35mm carrier looks fabulous with any medium Nikki Lissoni coins!